Online training programs can help you get certified, but that’s where their value stops. Life Time Academy provides critical hands-on training led by industry professionals as well as flexible, online coursework to give you the practical educational experience you need to enter the workforce. With Life Time Academy, you’re not just prepared for certification. You’re qualified to start working with clients right away. Prepare to work one-on-one with clients to help them achieve their health and fitness goals. Life Time Academy has partnered with Peak Pilates® to train you to deliver high-quality, authentic Pilates instruction. Learn how to take the lead and motivate participants in a variety of group fitness class formats. 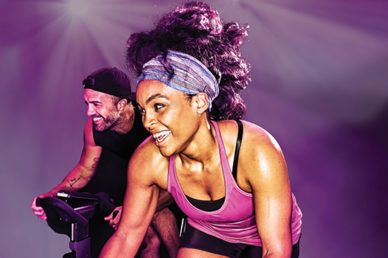 Gain the skills you need to program and lead exciting indoor cycling classes. Develop new professional skills in a variety of continuing education offerings.